Diann Miller, age 76 of Kalamazoo died on Friday, March 2, 2018 at Bronson Hospital. She was born on May 25, 1941 in Park Falls, WI and grew up in Fifield, WI where she graduated from high school in 1959. She received her Bachelor’s degree from UW at Stevens Point and her Master’s Degree from WMU where she worked in the guidance department for 33 years. Before receiving her Master’s degree Diann taught Social Studies at Adams-Friendship High School in Wisconsin. Diann was a member of St. Thomas More Student Parish and enjoyed painting. Members of her family include her brother, Ludwig and his wife Ann Miller of Fredonia WI; a niece, MaryEllen (Robert) Bebermeyer of Virginia; 3 nephews: Tom (Rose) Miller, Tim (Pattie) Miller both of Fredoinia, WI and Tony (Shannon) Miller of Cedarburg, WI; 14 grand nieces and nephews. 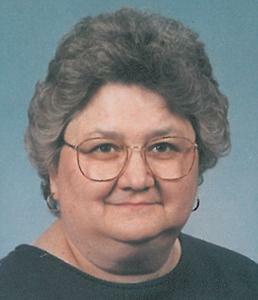 She was preceded in death by a niece, Karen Miller. Cremation has taken place and a Mass of Christian Burial will be celebrated in Wisconsin at a later date. Please visit Diann’s personal memory page at www.BetzlerFuneralHome.com where you can archive a favorite memory or photo and sign her guestbook. Memorial donations may be made to St. Thomas More Catholic Student Parish or St. Vincent dePaul. Arrangements by Betzler Life Story Funeral Homes, 6080 Stadium Drive; Kalamazoo (269) 375-2900.